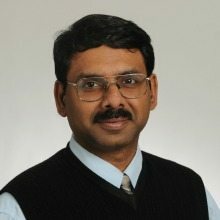 Local STEM advocate Dr. Padhu Seshaiyer will accept the 2019 STEM Champion award at this year’s K-12 STEM Symposium later this month. Padhu was chosen by the WashingtonExec STEM Council for his professional success in the field of mathematics, along with his work nurturing and inspiring young minds through service, mentorship and outreach. He will be honored March 30 at the Nysmith School in Herndon, Virginia, where the symposium takes place. A renowned mathematician at George Mason University, Seshaiyer recently spoke to over 1,000 middle and high school students at D.C.’s X-STEM festival on global problem solving through STEM. His personal mission is to empower students to pursue STEM and change often negative perceptions about math. Later this year, Seshaiyer will receive an honorary doctorate from the Vrije Universiteit Brussel for his outstanding contributions to scientific excellence and social impact. This year’s K-12 STEM Symposium: The Power of Curiosity, presented by Riverside Research, will feature over 40 interactive exhibits, including a crystal demonstration and laser light diffraction; an Open Innovation Center, Raspberry Pi-powered Pi-cameras, flight simulators, and rocket launches. The United States Geospatial Intelligence Foundation will also provide a build-your-own-satellite activity as well as an imagery analysis station. Register now for this free, all-day event.